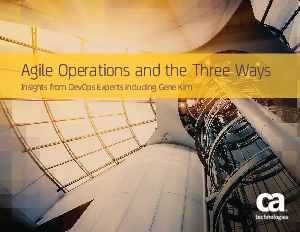 Agile Operations no longer means keeping the technology lights-on, it means making the business shine brighter; working closely with Development by applying systems-style thinking to visualise and speed a constant flow of value to customers. It also means adopting automation, tools and methods to amplify the cross-functional feedback so necessary to improve quality and the customer experience. Finally, it’s about future-proofing the business—managing technology at scale, yes, but never burdening the organisation with additional cost, waste and complexity.